Hello. 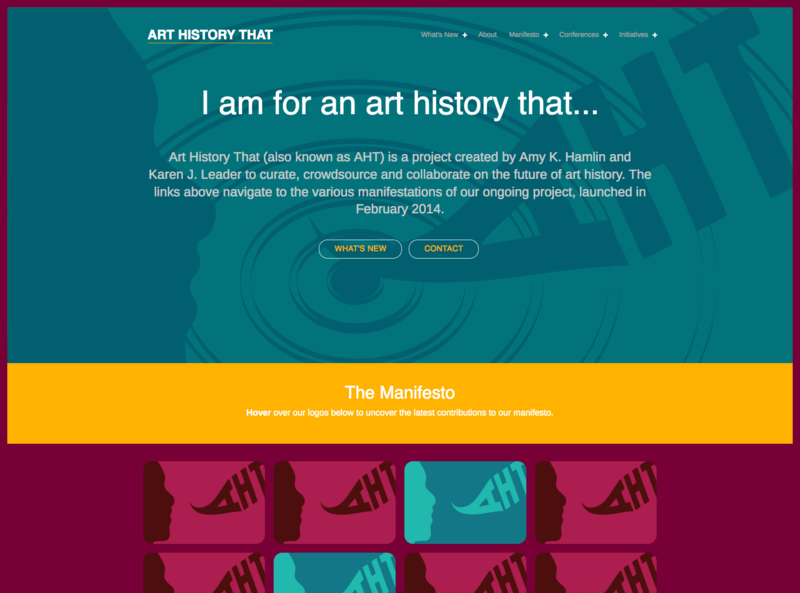 I aman art historian.a professor.a digital humanist.a coffee aficionado.a critical thinker.a designer. 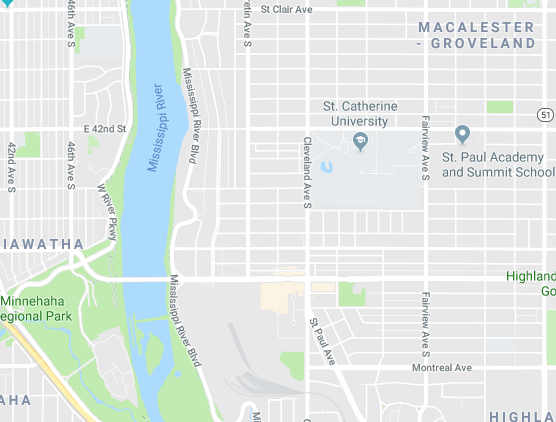 I live and work in St. Paul, Minnesota. 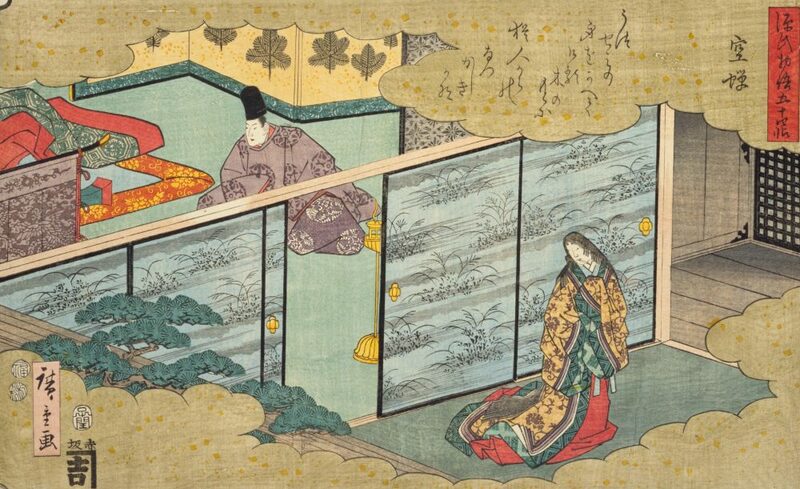 Japanese art and visual culture. 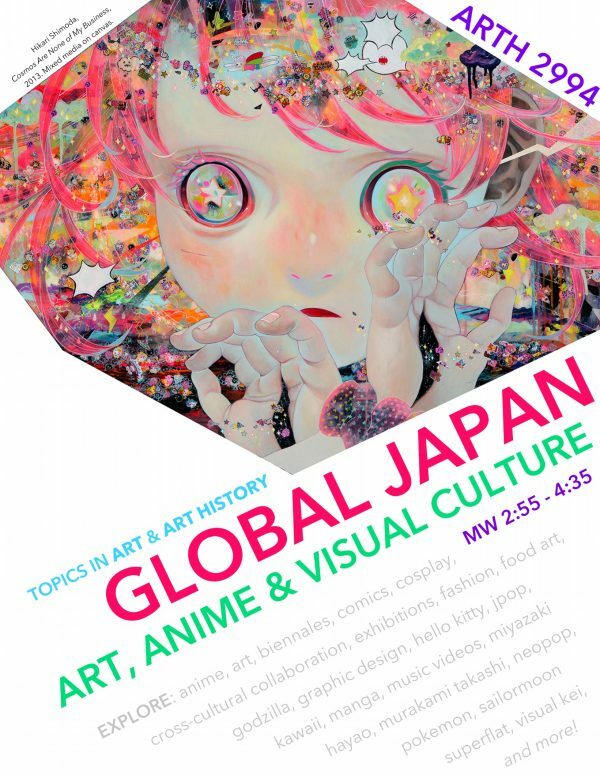 I research modern Japanese art and visual culture. 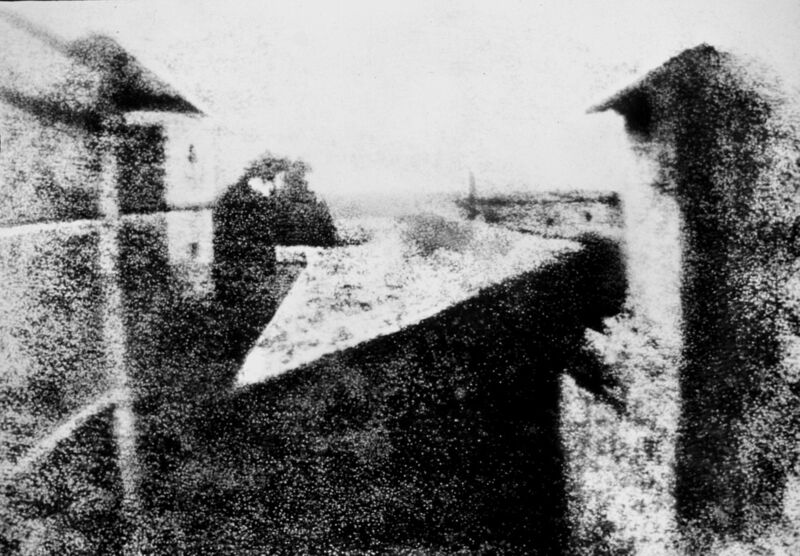 There are two main intellectual issues that I tackle in my work: (1) racial marginalization in and through visual culture and (2) the relationship between image and text. 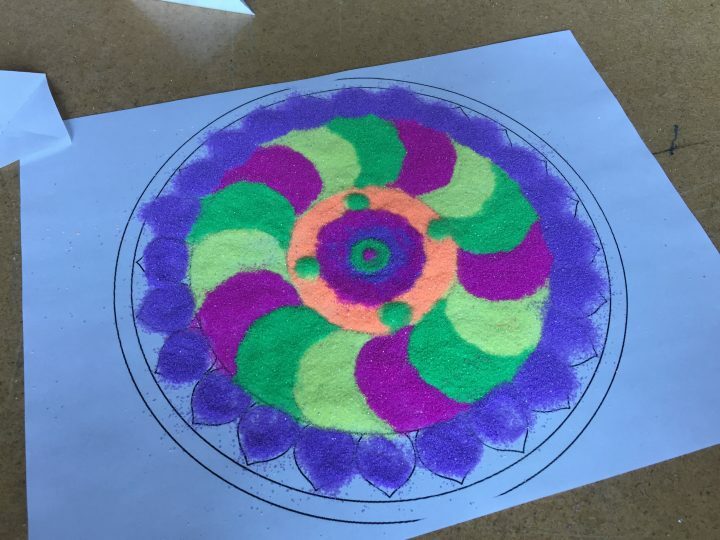 I teach a wide range of courses from surveys in Western Art to specialized topics in Asian Art such as Buddhist Art & Architecture and Global Japan: Art, Anime, & Visual Culture. I further digital approaches and methods in both my teaching and scholarship. 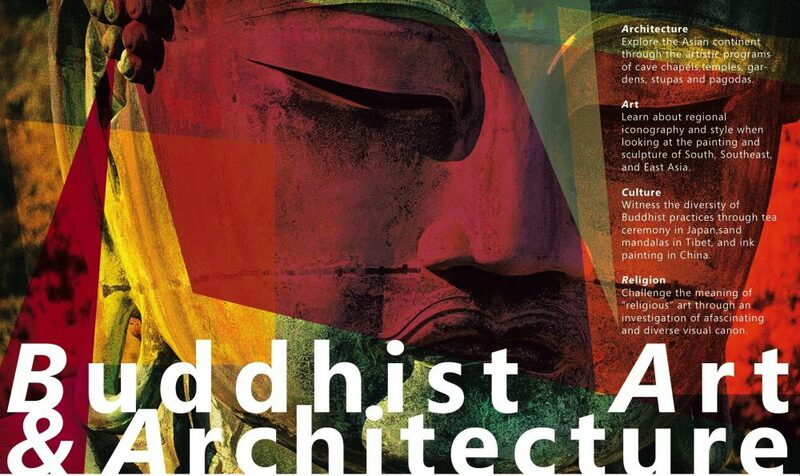 I have extensive training as a graphic designer and interest in using Global Information Systems (GIS) in Art History. 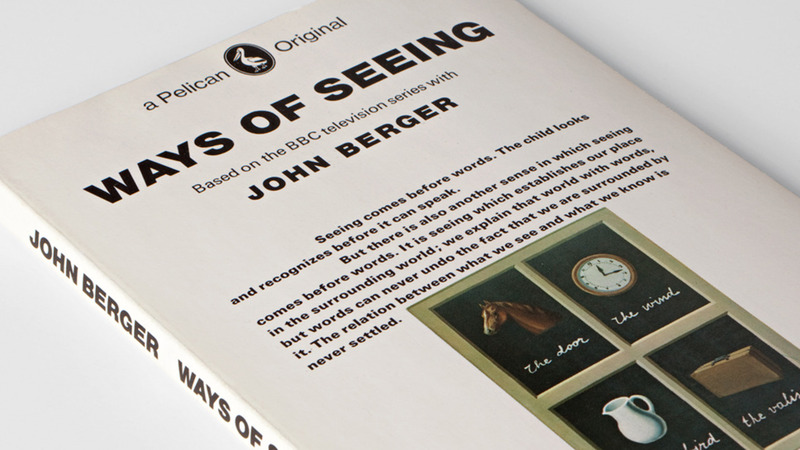 Art history and visual culture are especially relevant in today’s world. 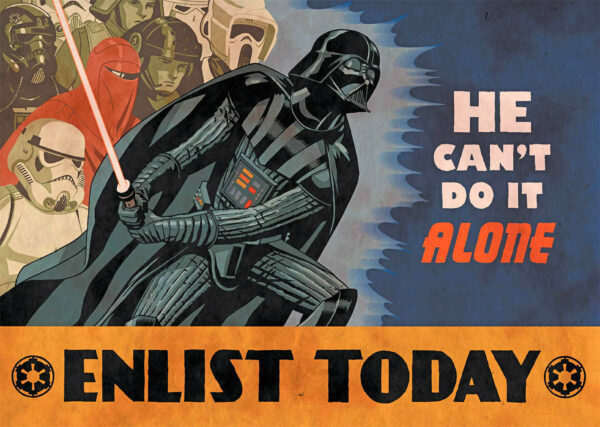 I am invested in open-source practices and I write to reach out to audiences in and outside of academia. 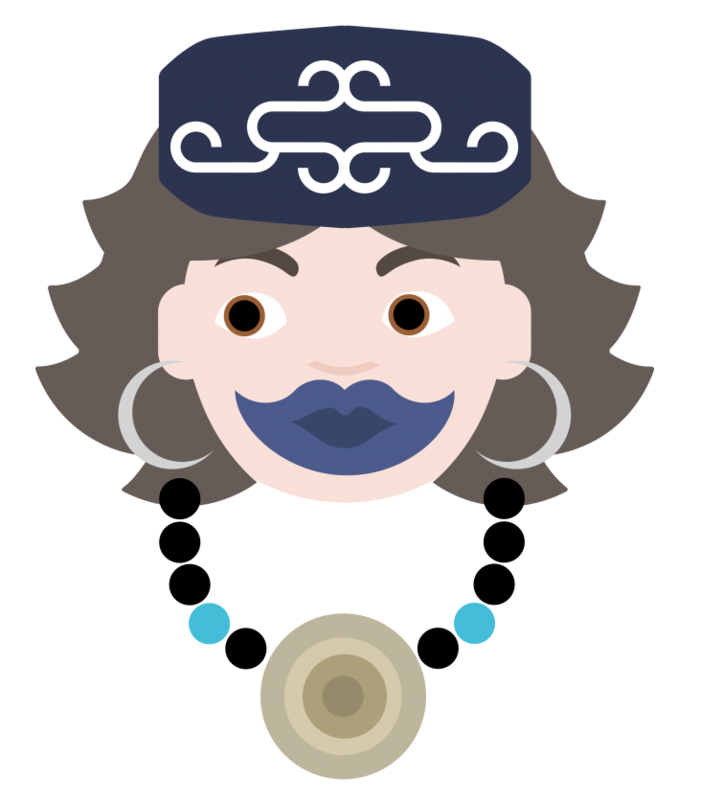 Illustration of an Ainu woman. Here she wears a a matanpushi (embroidered headband), ninkari (earrings), and a tamasay (necklace). 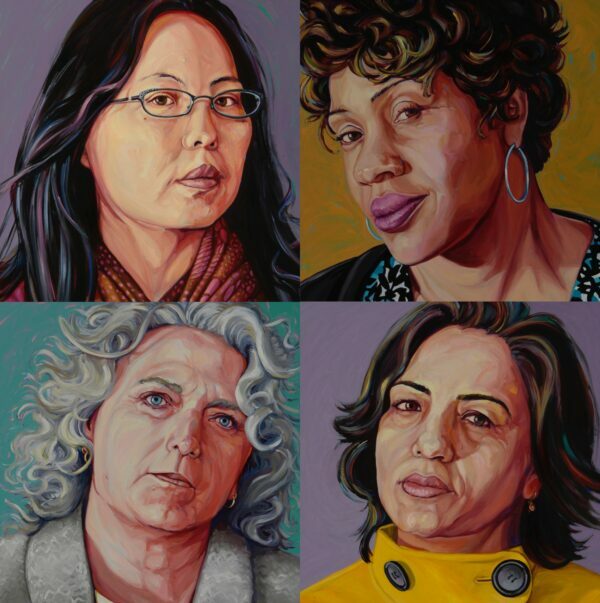 Representations of race are a key element that I explore in my research. 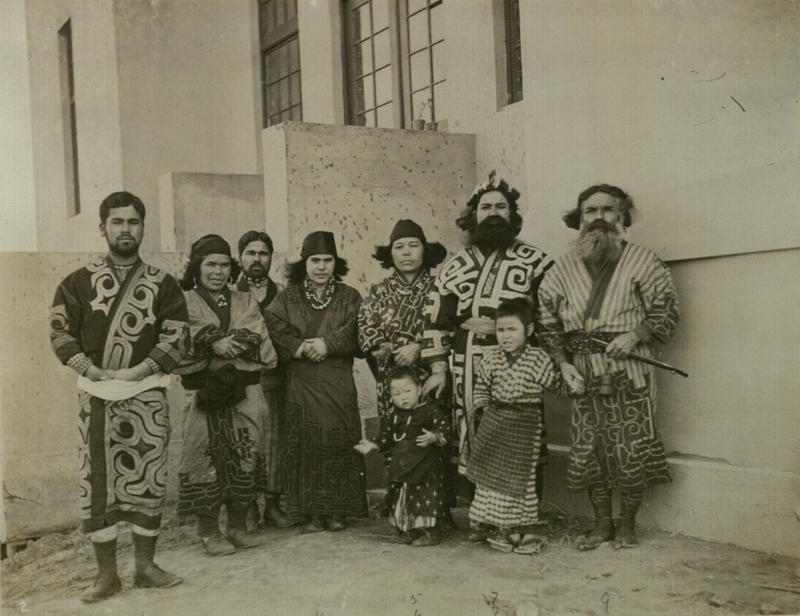 In my doctoral dissertation, I investigate the visual encounters between the indigenous Ainu in northern Japan and Euro-American/Japanese tourists, artists, and anthropologists at the turn-of-the-twentieth century. My research pays close attention to the reproduction and circulation of visual culture in media such as postcards, illustrations, and newspapers in order to examine how diverse visual examples worked together to solidify an indigenous stereotype. 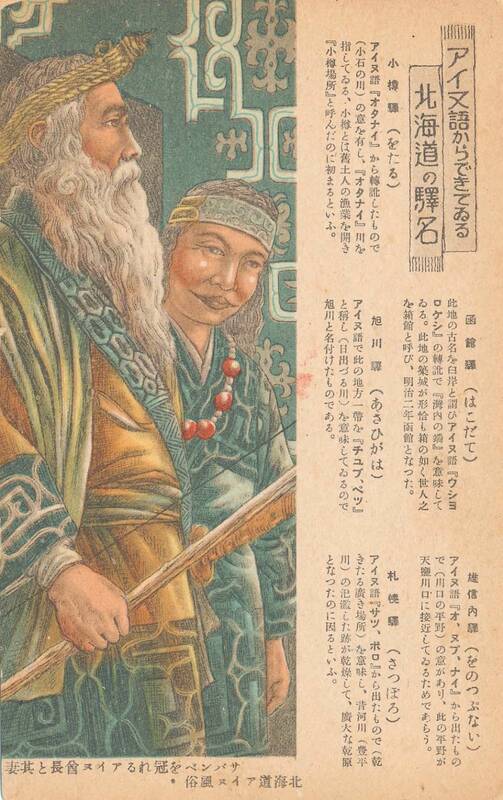 I also explore how Ainu communities responded to these same images in their own illustration. 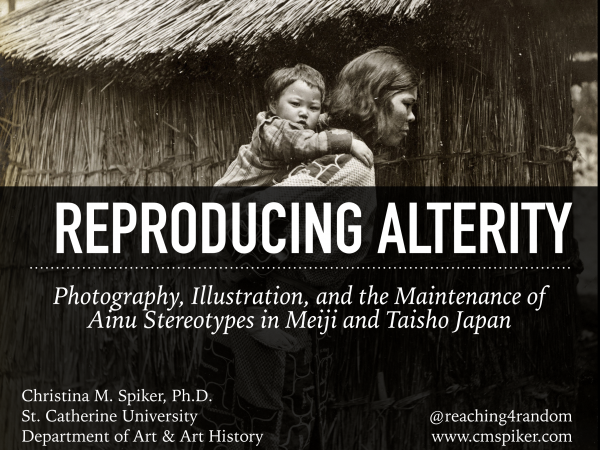 I am currently working on a book proposal that expands the audience and scope of my original dissertation by analyzing Ainu representation alongside similar visual practices with regards to groups like the Maori in New Zealand, the Inuit in North America, and Aborigines in Taiwan. 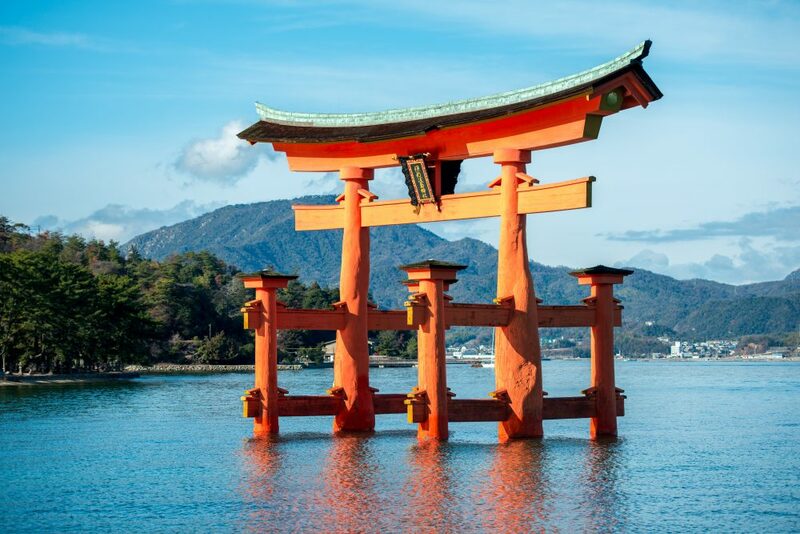 Isabella Bird not only visited Japan in 1878, but traveled the world. See the Mapping Isabella Bird project to view more about her journeys. 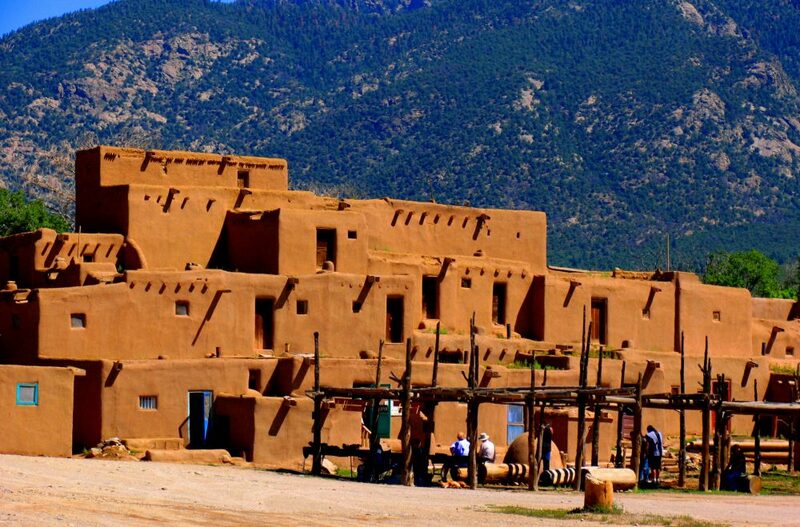 I am interested in the relationship between art and travel. 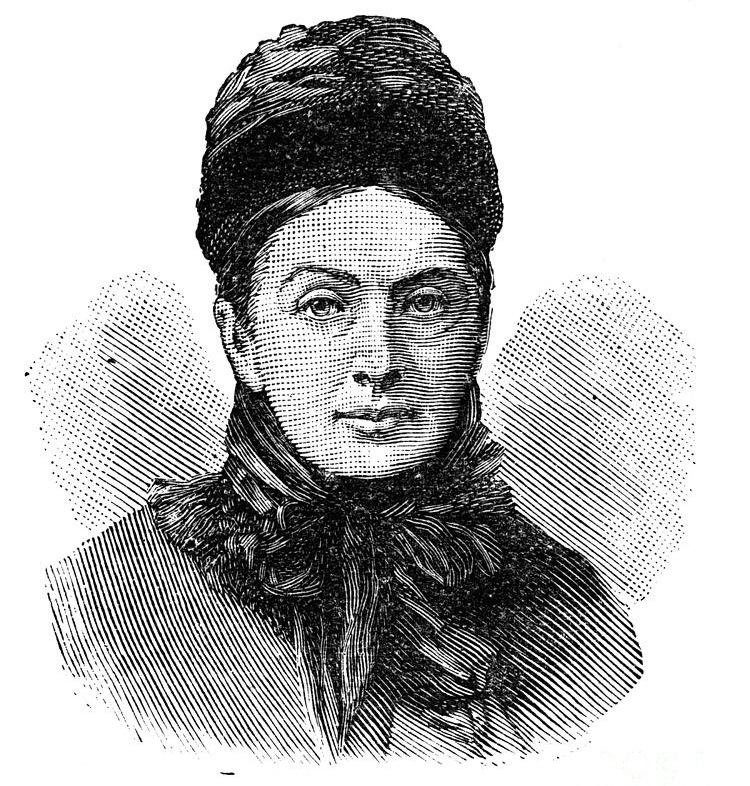 British explorer and naturalist Isabella Lucy Bird (1831-1904) traveled to Japan in 1878. Her trip touches on several issues important to me: the exploration of Hokkaido, the representation of indigenous cultures, the reuse of Japanese photographs in the publishing industry, and the role of Western women in teaching Asian culture to people back home. 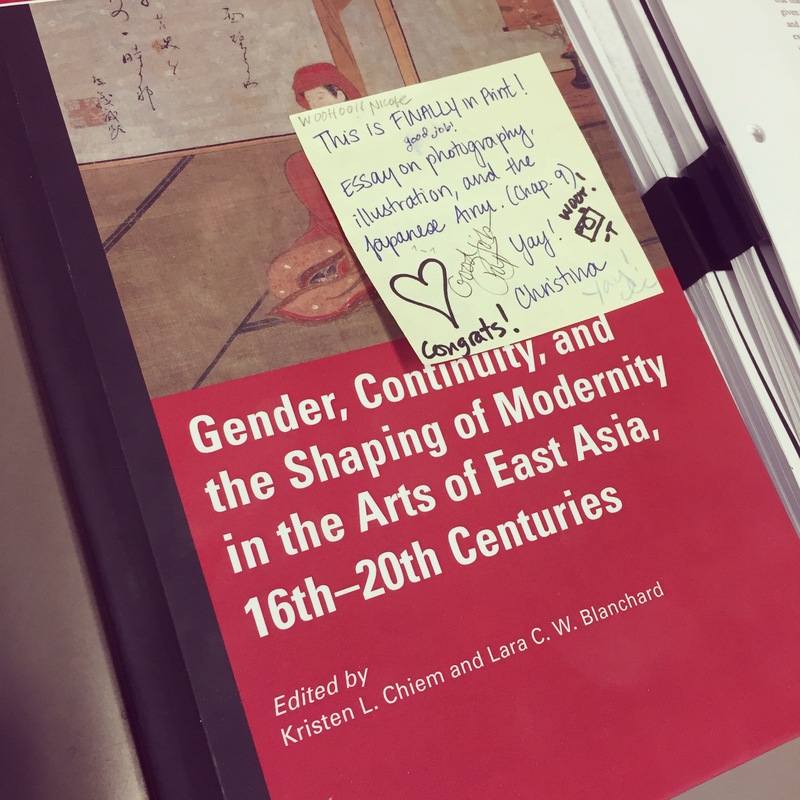 I wrote about Bird in the first chapter of my dissertation, and this research forms the basis of my essay “‘Civilized’ Men and ‘Superstitious’ Women: Visualizing the Hokkaido Ainu in Isabella Bird’s Unbeaten Tracks, 1880” in Gender, Continuity, and the Shaping of Modernity in the Arts of East Asia, 16th–20th Centuries (Brill, 2017). 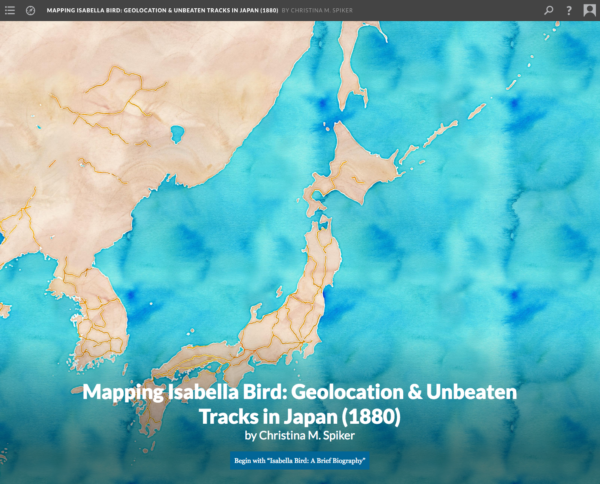 I am the creator and webmaster of the Mapping Isabella Bird project released in 2018, which is dedicated to the research of her travelogue Unbeaten Tracks in Japan (1880). 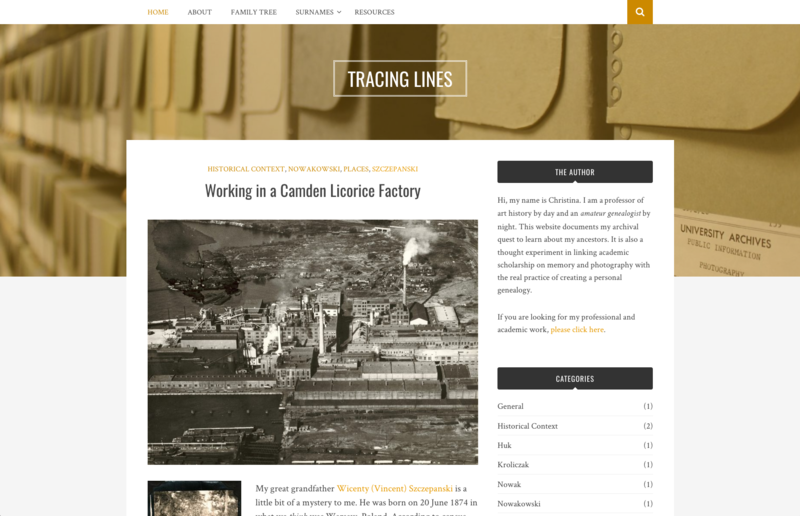 This website is meant as an educator and student resource on Bird’s journey. 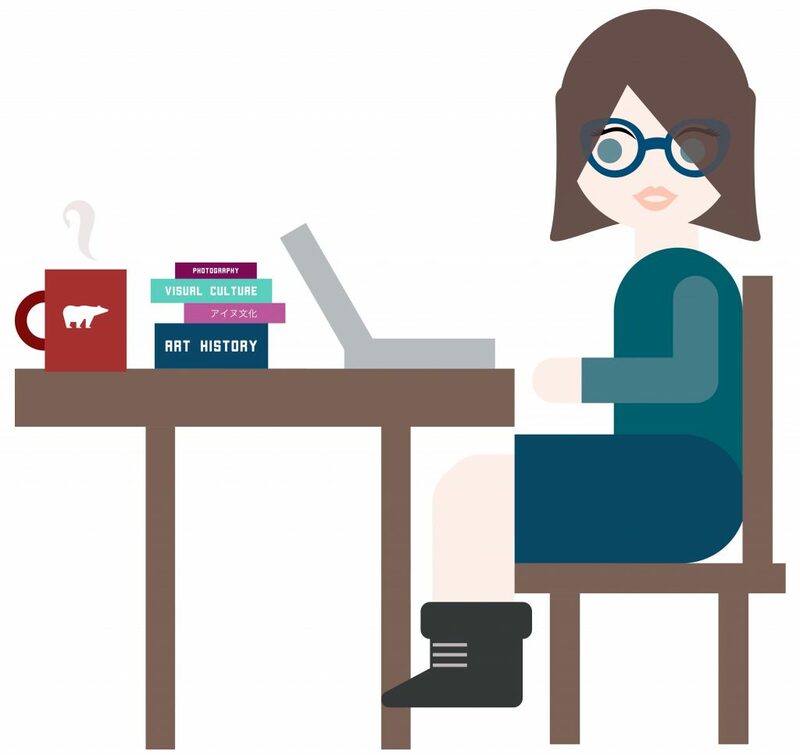 It features biographical information, interactive maps, and annotated illustrations that reflect my own research into her source imagery. 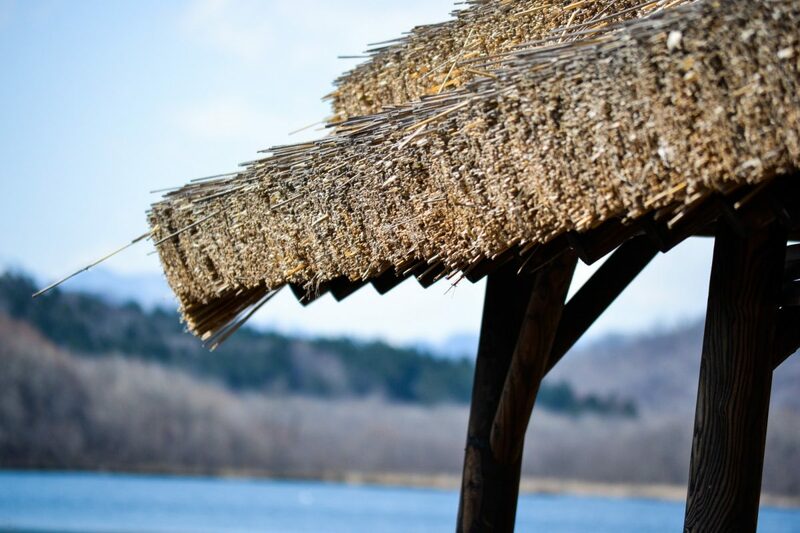 The website also explores the past and present representation of the Ainu in the Saru River valley. 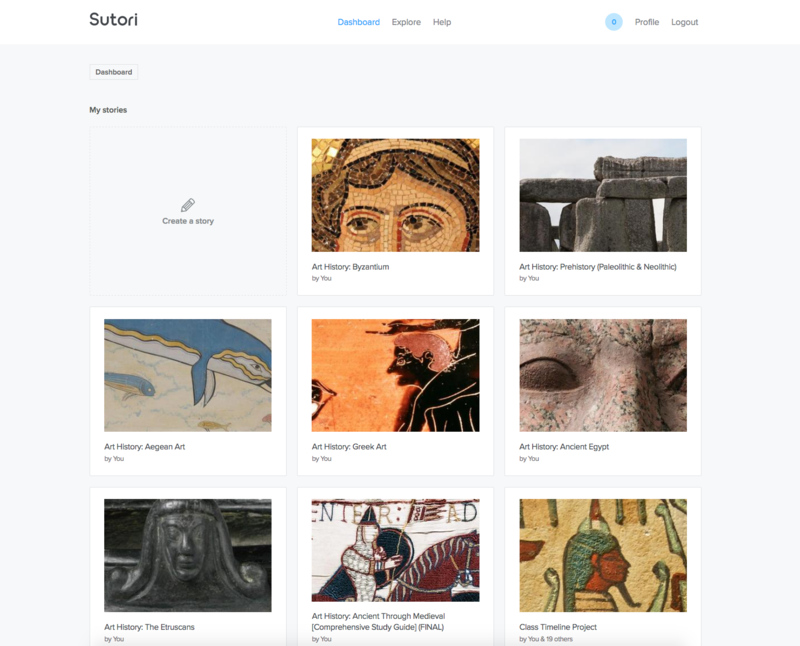 The next step in this project is the creation and solicitation of sample assignments for courses in history, Japanese studies, art history, and geography. Illustration of The Smiling Book, 1896. 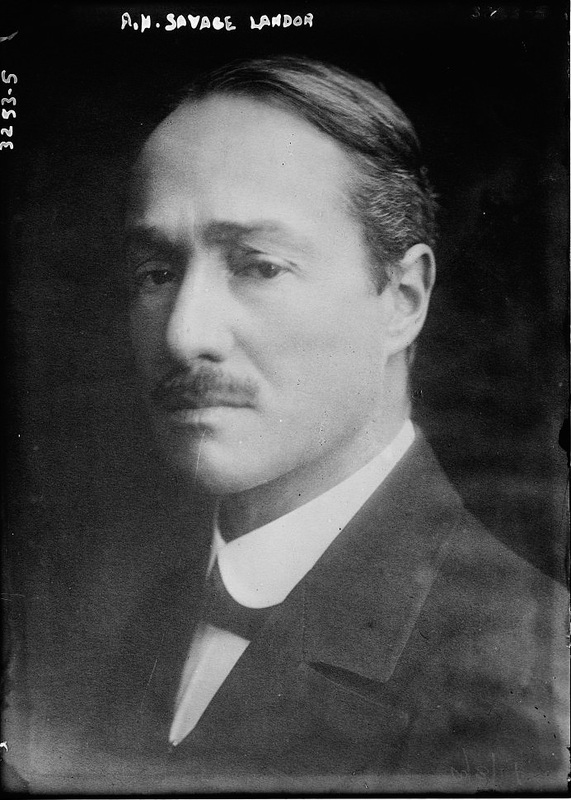 Currently located in the Evelyn Goodrow Mitsch collection, Archives and Special Collections, St. Catherine University. 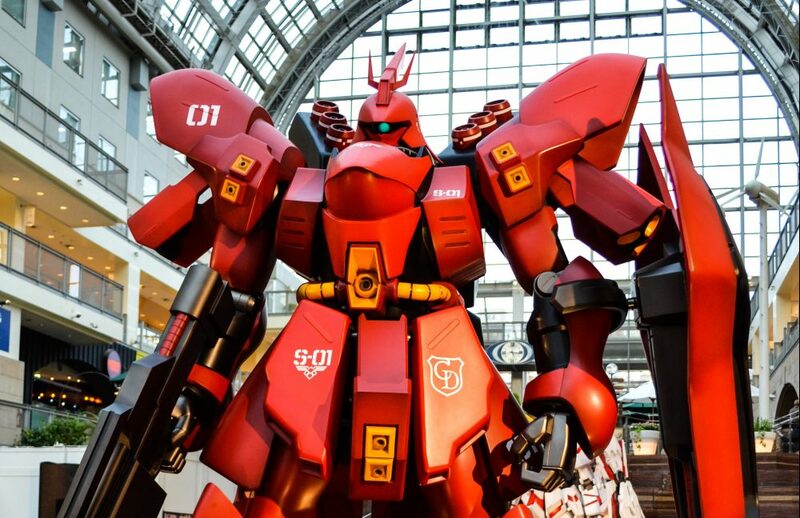 There is global value in local objects. 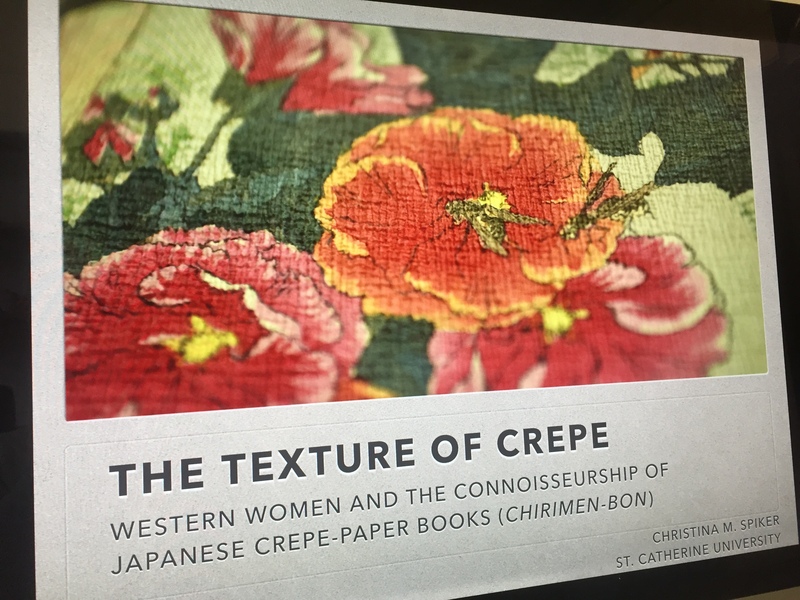 Recently, I have been researching a small crepe-paper book (chirimen-bon) quaintly titled The Smiling Book (1897) found inside the St. Catherine University Archives & Special Collections. 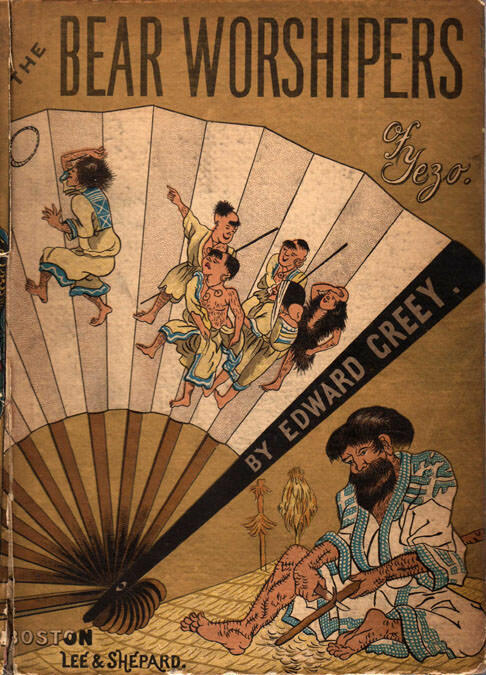 The book was made in in Meiji Japan by publisher Hasegawa Takejiro for a Western audience. 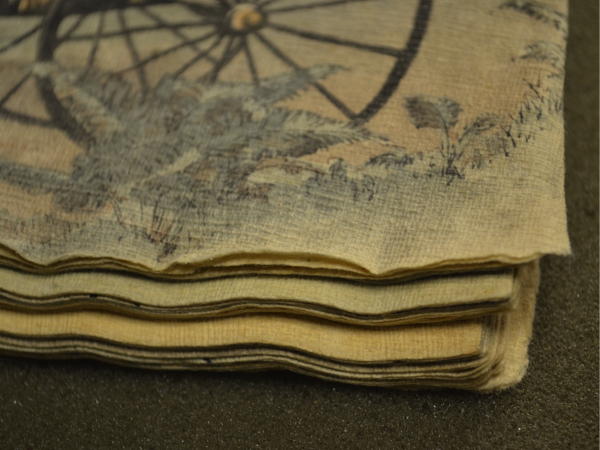 It combines the fabric-like texture of crepe, Japanese woodblock prints, and fragments from poems in both Japanese and English into a rich interdisciplinary object. 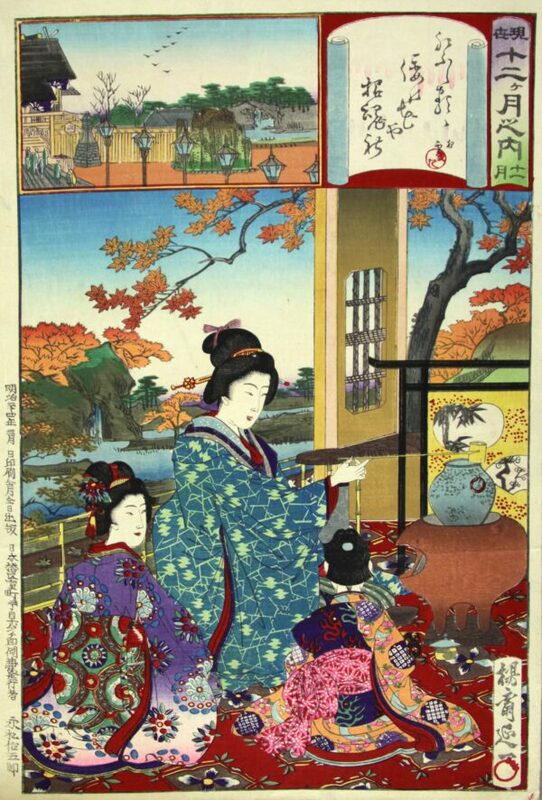 The work can be used to unlock the complicated role of women in the production, consumption, and collection of Meiji visual culture. 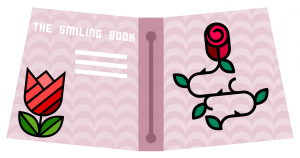 I presented my preliminary research at the Art Historians of the Twin Cities Symposium in 2017 and at Kanagawa University in 2018, and I am currently in the process of writing an article about The Smiling Book. I use this unique object as a key to unlock surprising global and local connections between Tokyo and a Minnesota artist by the name of Evelyn Goodrow Mitsch. 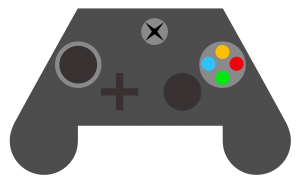 Illustration of an XBox controller, my console of choice. Our study of “art history” need not stop at fine art. 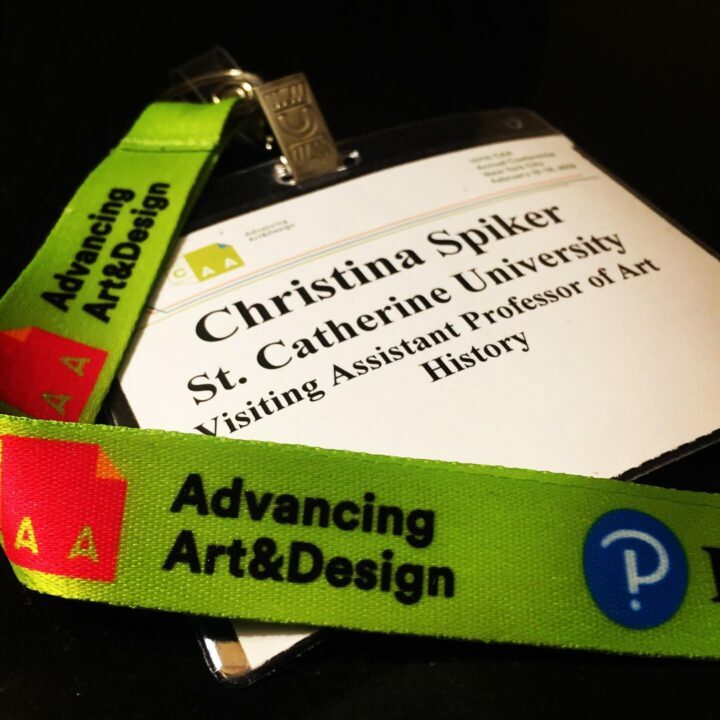 My interest in applying art historical methods to video games stems largely from the interests of my students at St. Catherine University, St. Olaf College, and UC Irvine. 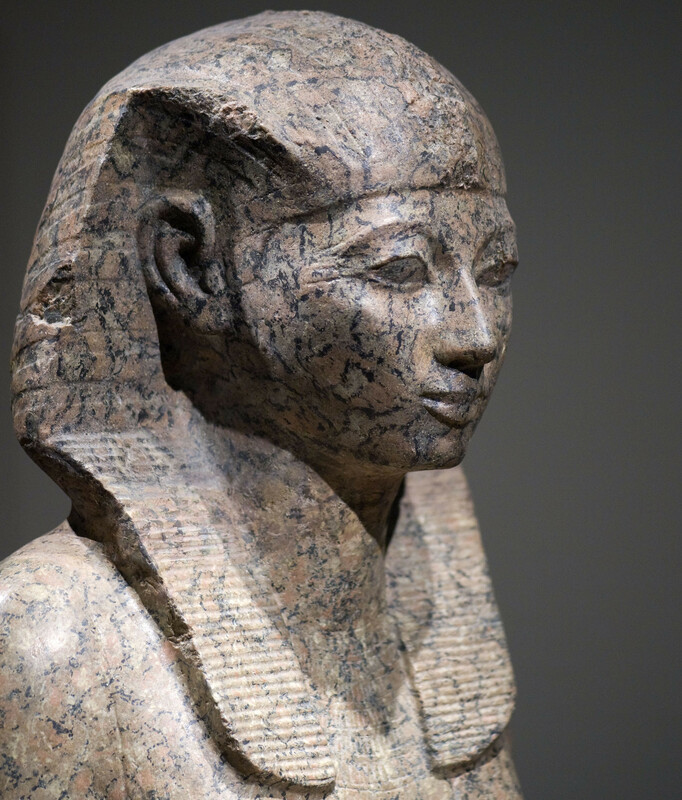 I believe the methodology of art history gives us the opportunity to ask new questions of contemporary objects in comparison to more historical counterparts. Students can recognize the unique qualities of video games while integrating them into a more complete understanding of visual culture. 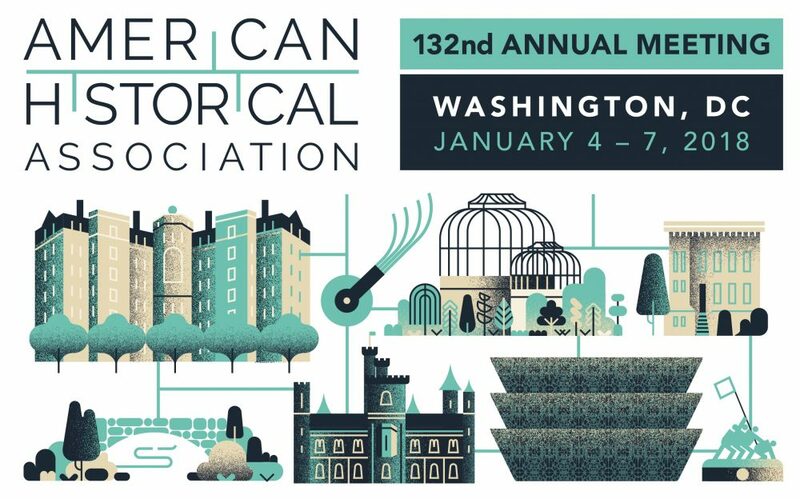 This research unites my teaching and my training by bridging art history, media studies, and visual studies. 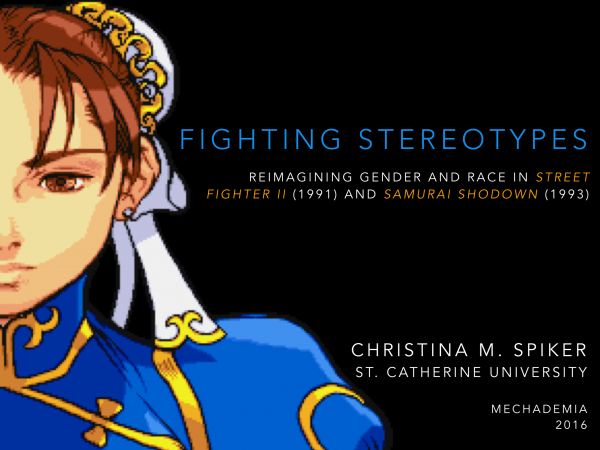 I am broadly concerned with race and gender representation in games and how it connects to larger trends in visual culture. 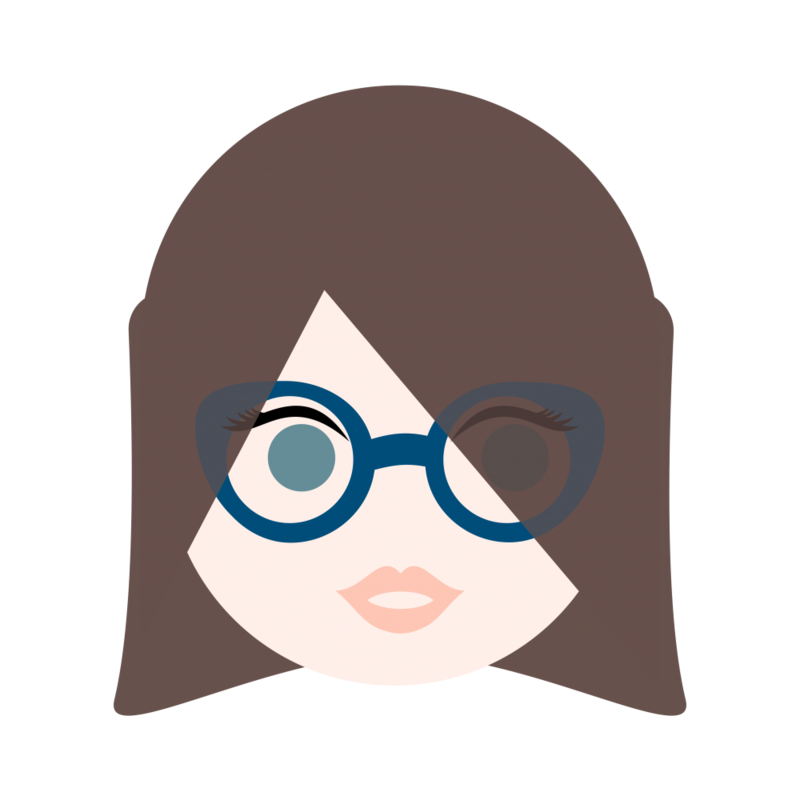 I have presented nationally at interdisciplinary conferences like the Popular Culture Association, Mechademia, and Console-ing Passions on gender in arcade fighting games. 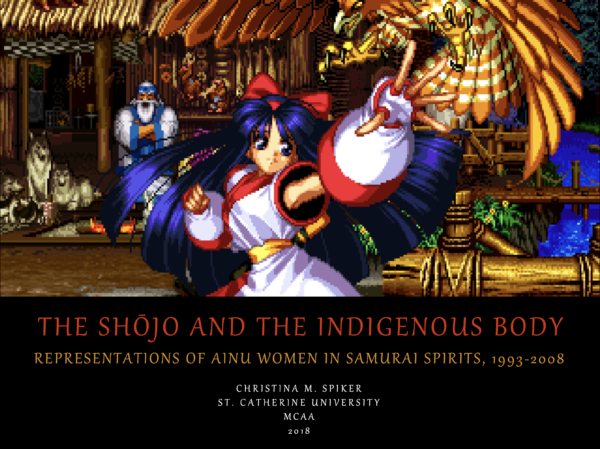 Thus far, I have focused on specific characters including the Ainu princess Nakoruru from Samurai Spirits (Samurai Shodown) and Chun-Li of Street Fighter II fame. More recently, I have begun investigating how the integration of historical Asian architecture in fantasy massively multiplayer online RPGs (MMORPGs) cultivates neo-Orientalist exoticism in contemporary virtual spaces. Student Rocky Pierson is Presenting at Mechademia 2017! A three-year visiting position. 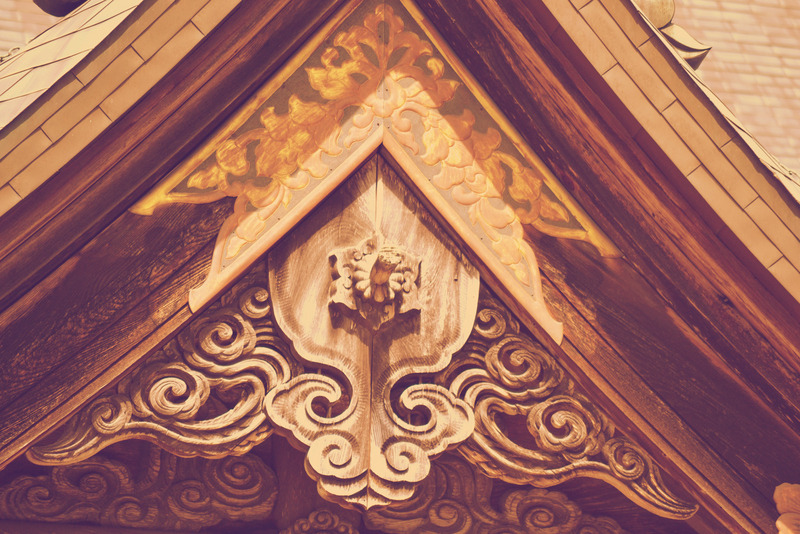 I teach courses in Art History including Art History: Ancient through Medieval, Art History: Renaissance through Modern, and Ways of Seeing (Visual Culture). 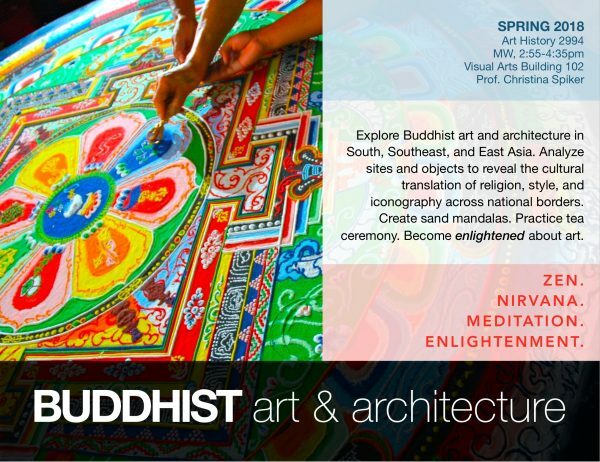 I also teach topics courses on Asian Art, such as Buddhist Art & Architecture and Global Japan: Art, Anime, & Visual Culture. Class sizes average 15-25. A one-year visiting position. 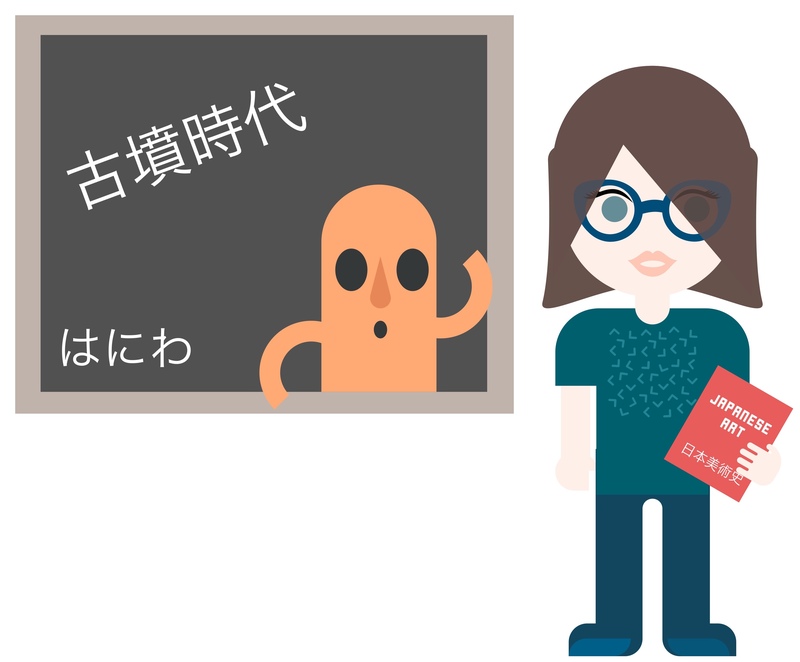 I taught courses in Art History, Asian Studies, and History including History of Photography, History of World Architecture, Arts of Japan, Modern Japanese Visual Culture, and Japanese Civilization. Class sizes averaged 16-30. 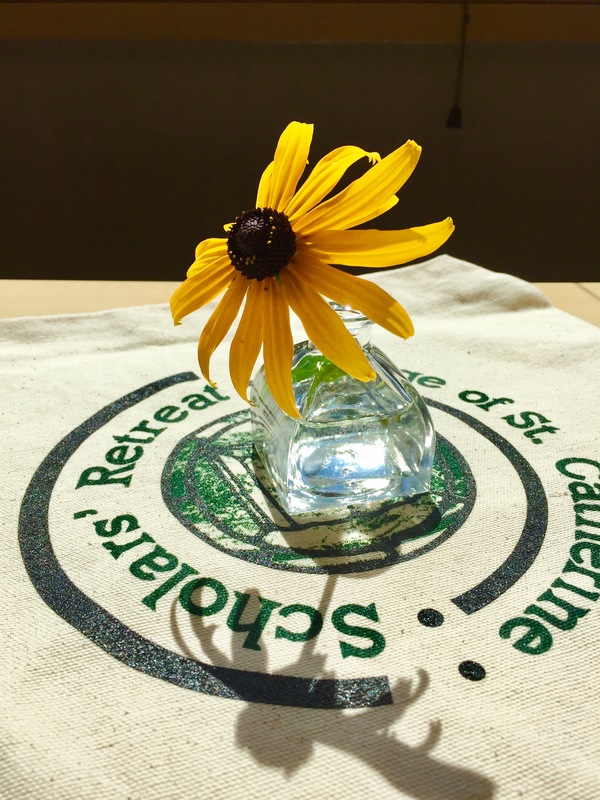 Summer instructor and teaching assistant. 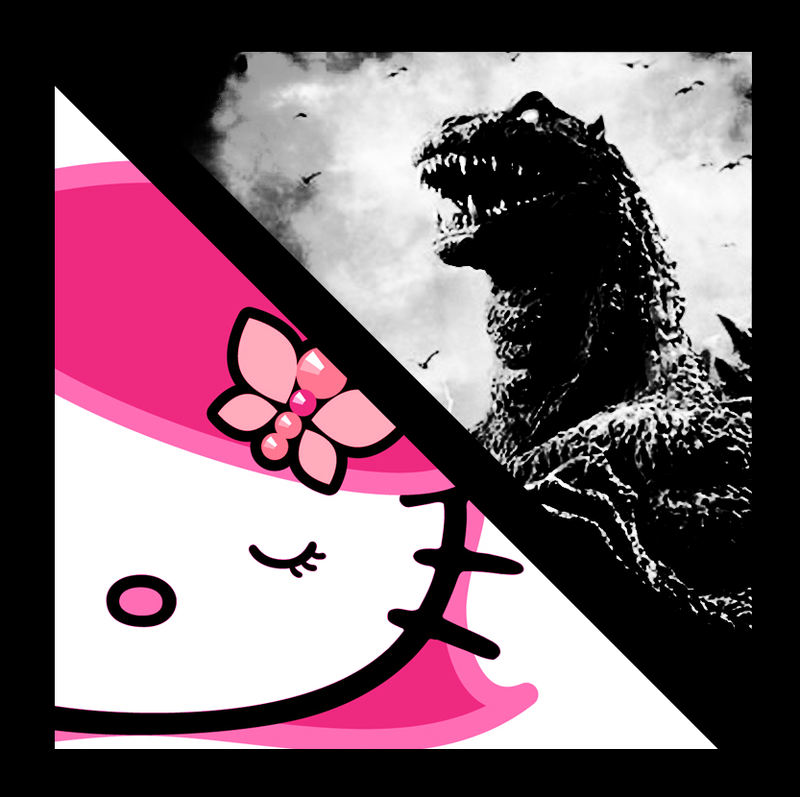 Taught Buddhist Art & Architecture (25 students) and Godzilla to Hello Kitty: Japanese Popular Culture (60 students). As a TA, taught two discussion sections each each quarter across Art History, Film & Media Studies, and Asian American Studies. 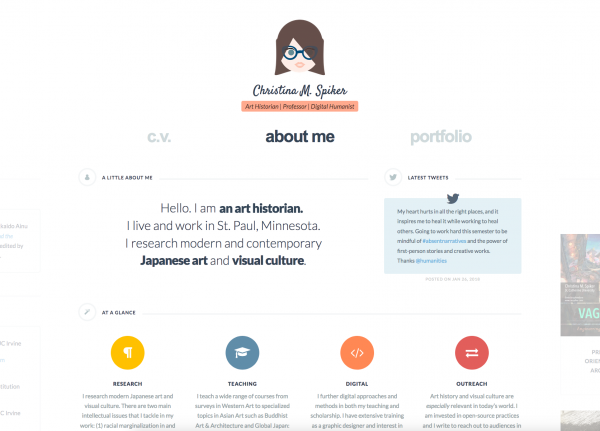 You can download my full CV in pdf format. Spiker, Christina M. “‘Civilized’ Men and ‘Superstitious’ Women: Visualizing the Hokkaido Ainu in Isabella Bird’s Unbeaten Tracks, 1880.” In Gender, Continuity, and the Shaping of Modernity in the Arts of East Asia, 16th–20th Centuries, edited by Lara Blanchard and Kristen Chiem, 287-315. Leiden: Brill, 2017. Takashina, Erika. 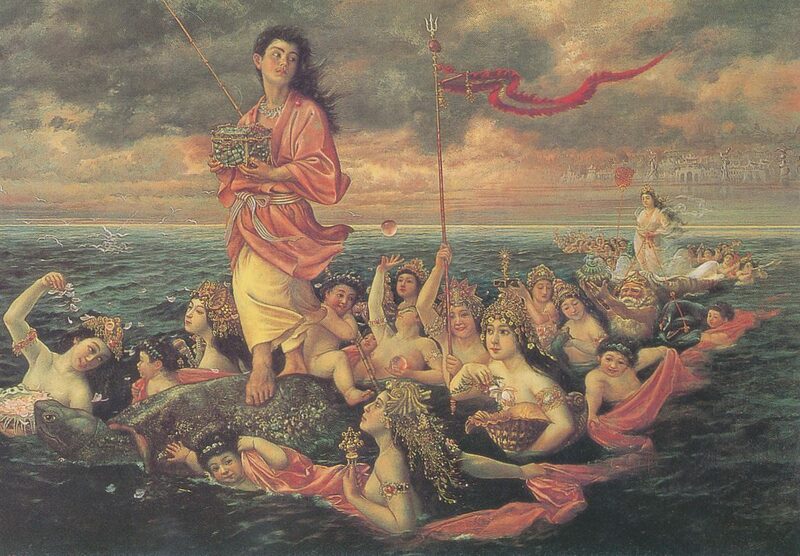 “Sea of Hybridization: In Dispute over Urashima” from The Sea Beyond: Hōsui, Seiki, Tenshin, and the West. Translated by Christina M. Spiker. 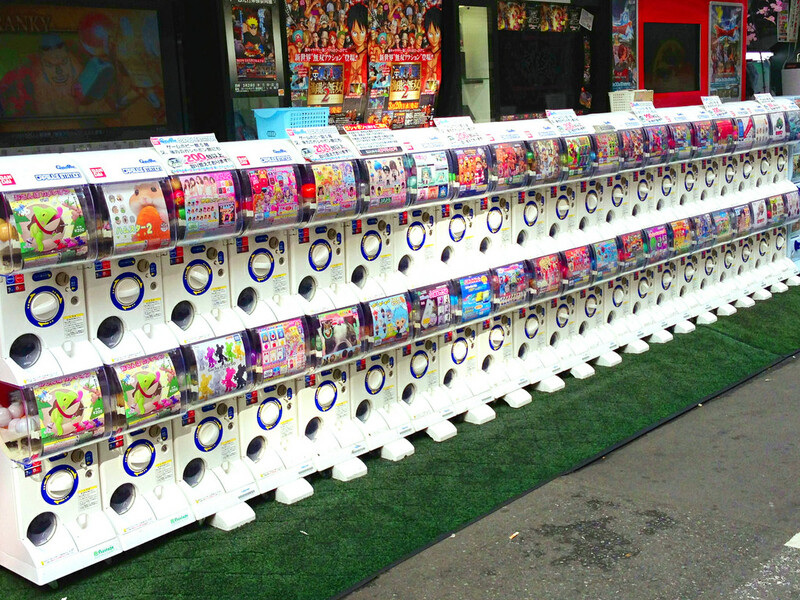 Review of Japanese Culture and Society 26:1 (2014), 80-103. 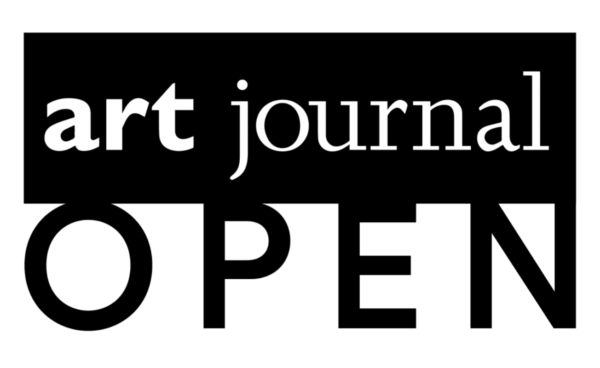 Spiker, Christina M. “At the Limits of Visibility: Noritaka Minami’s Past Won’t Pass (Catalog #52)” in Octopus Journal, 5 (2011): 1-4. 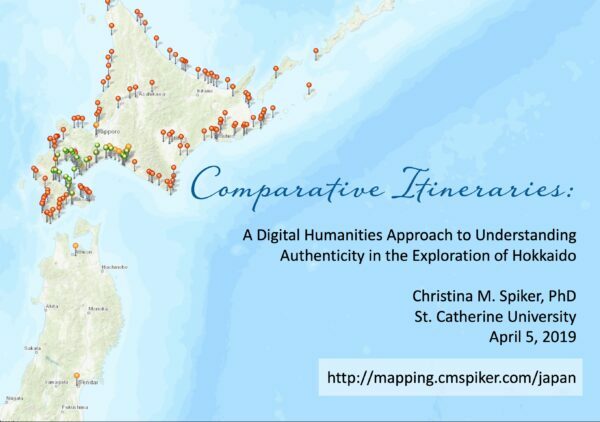 “Comparative Itineraries: A Digital Humanities Approach to Understanding Authenticity in the Exploration of Hokkaido,” paper delivered at the Travel is Life, Travel is Home: Representing Travel and Landscape in Japan Conference, Iowa State University (April 4-6, 2019). 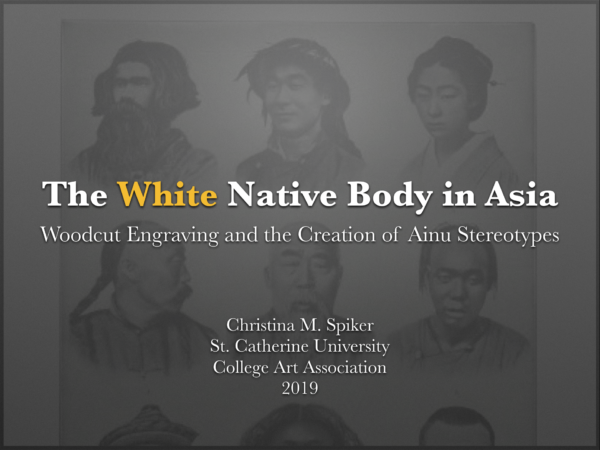 “The White Native Body in Asia: Woodcut Engraving and the Creation of Ainu Stereotypes,” paper delivered on the “Coloring Print: Reproducing Race Through Material, Process, and Language” panel sponsored by Association of Print Scholars at the annual College Art Association (CAA) Conference (February 13-16, 2019). 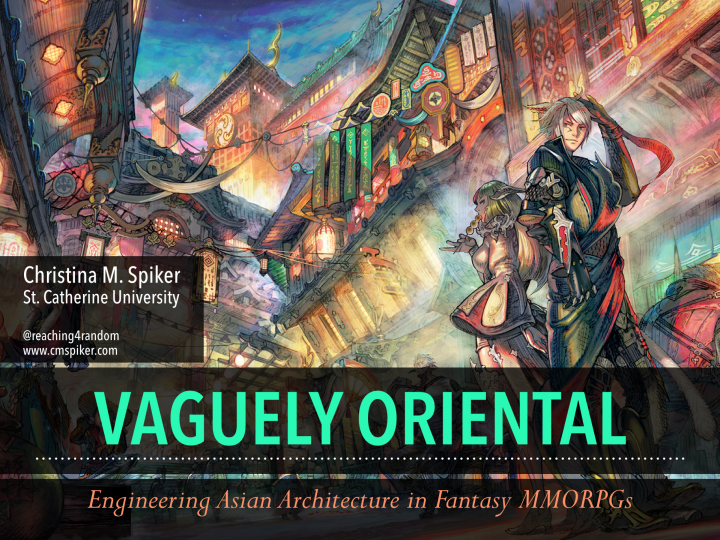 “Vaguely Oriental: Engineering Asian Architecture in Fantasy MMORPGs,” paper delivered at the 48th Annual Popular Culture Association/American Culture Association (PCA/ACA) Conference, Indianapolis (March 28-31, 2018). 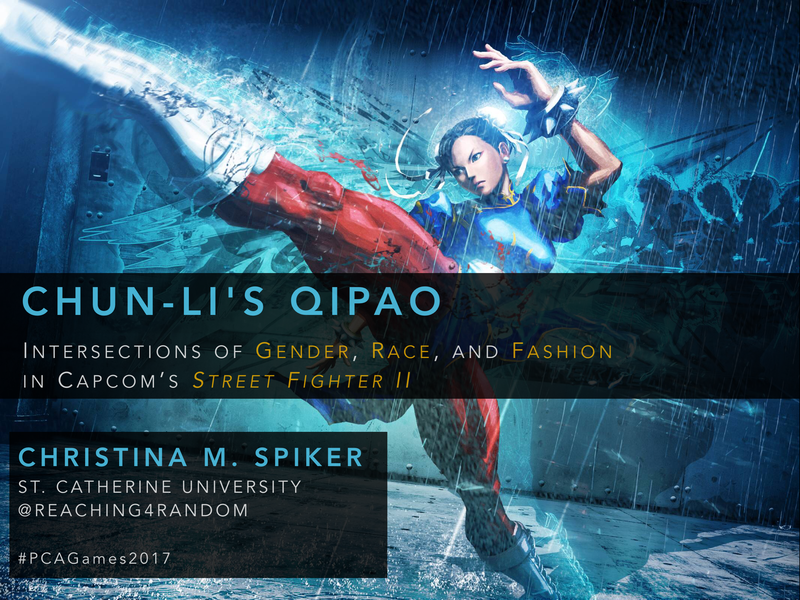 “Chun-Li’s Qipao6: Intersections of Gender, Race, and Fashion in Capcom’s Street Fighter II,” paper delivered at the 47th Annual Popular Culture Association/American Culture Association (PCA/ACA) Conference, San Diego (April 12-15, 2017). 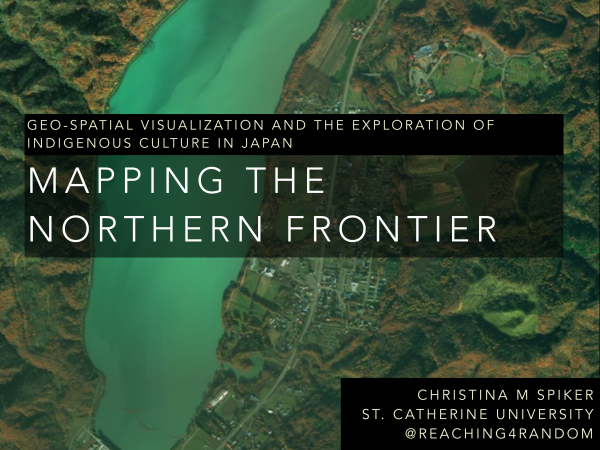 “Mapping the Northern Frontier: Geo-Spatial Visualization and the Exploration of Indigenous Culture in Japan,” lightning paper delivered at the Global Digital Humanities Symposium, Michigan State University (March 16-17, 2017). 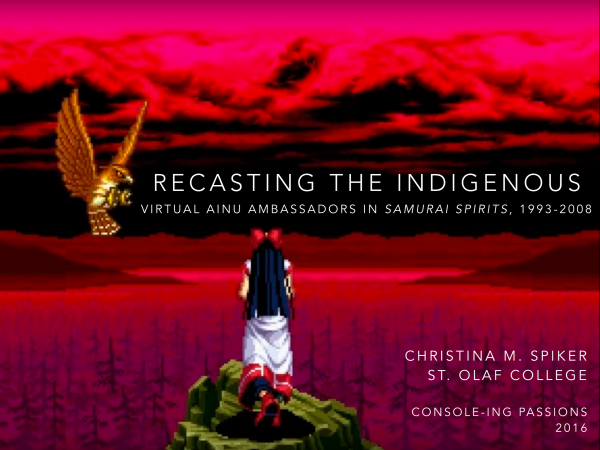 “Recasting the Indigenous: Virtual Ainu Ambassadors in Japan’s Samurai Spirits, 1993–2008,” paper delivered at the Console-ing Passions: International Conference on Television, Video, New Media, and Feminism, University of Notre Dame (June 16-18, 2016). 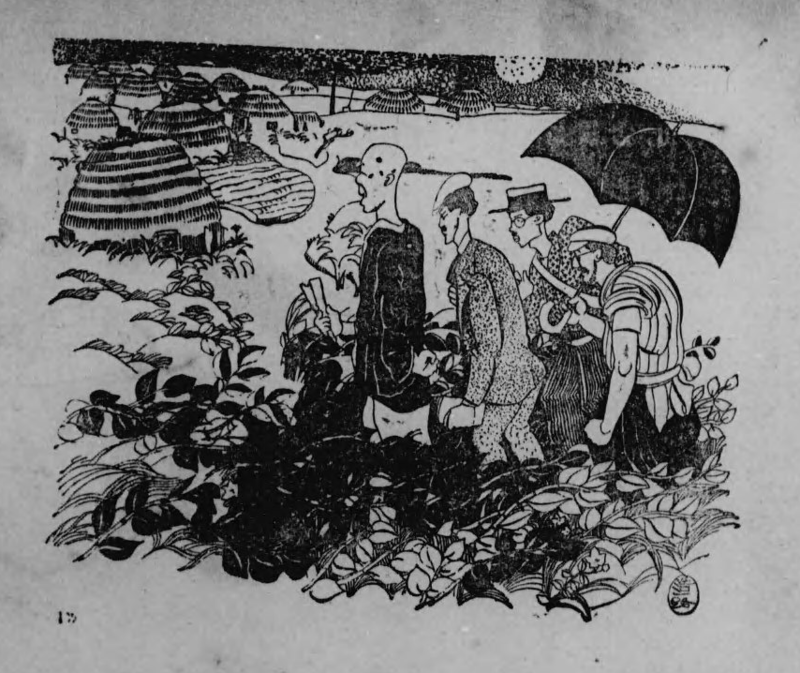 “Touring the Indigenous Village: Kondō Kōichiro’s Ainu Illustrations, 1917,” paper delivered at the first annual Art Historians of the Twin Cities Symposium, St. Catherine University (April 2, 2016). 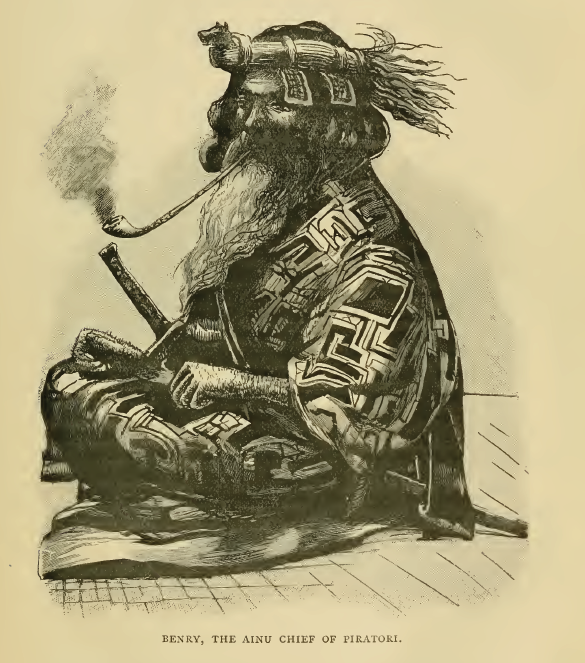 “Constructing the Indigenous: Nineteenth-Century Circulation and Transformation of the Ainu Image in British and American Print Culture,” paper delivered at the Nineteenth Century Workshop (Theme: Circulation), Rutgers University. (October 2, 2014). “An Itinerary of Hokkaido: Photo Postcards, Tourism, and Erasing the Indigenous Body,” paper delivered at the Eighteenth Asian Studies Conference Japan (ASCJ), Sophia University, Tokyo. (June 21, 2014). 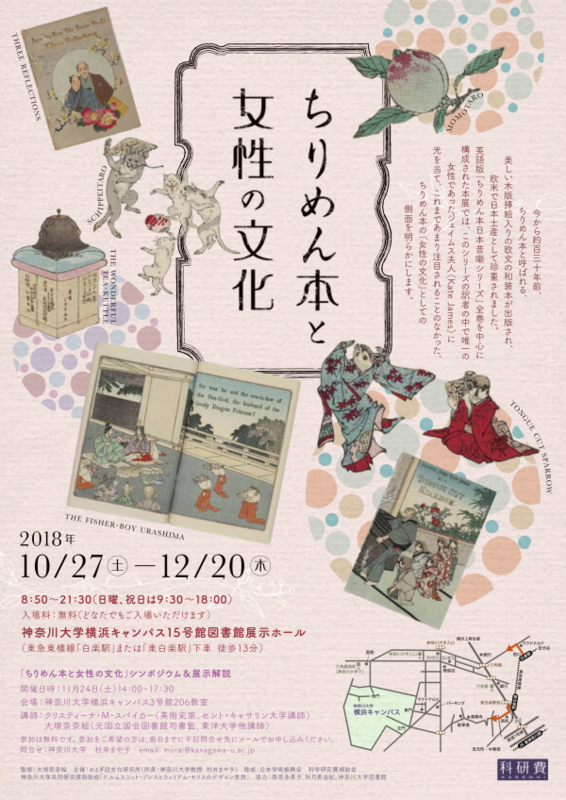 “Untangling a ‘Hairy’ Encounter: Ainu Representation at the World’s Fair,” invited paper delivered at the Isamu Noguchi & Qi Baishi: And Other Inspiring Encounters In and Beyond Modern Asian Art Symposium, University of Michigan Museum of Art. (May 18, 2013). 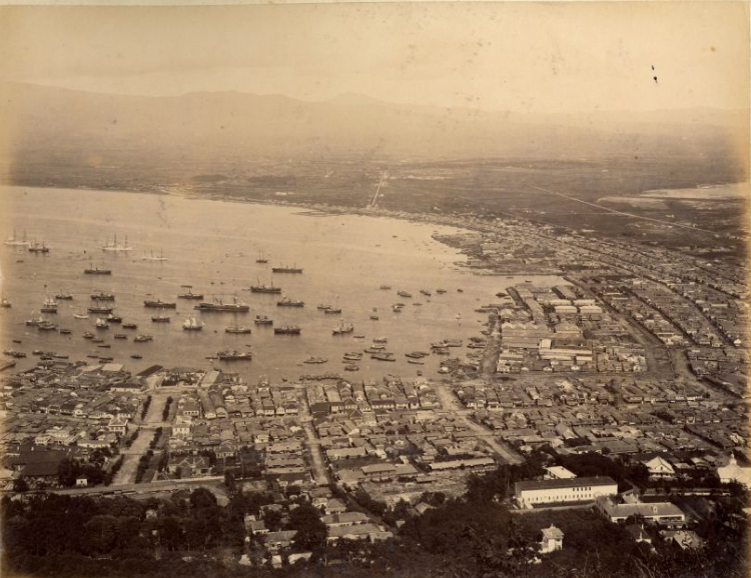 “Discovering Hokkaido: Postcards, Train Travel, and the Mapping of Tourist Space,” paper delivered at the Nature of Space, Visual Arts Graduate Student Conference, UC San Diego. (March 9, 2013). 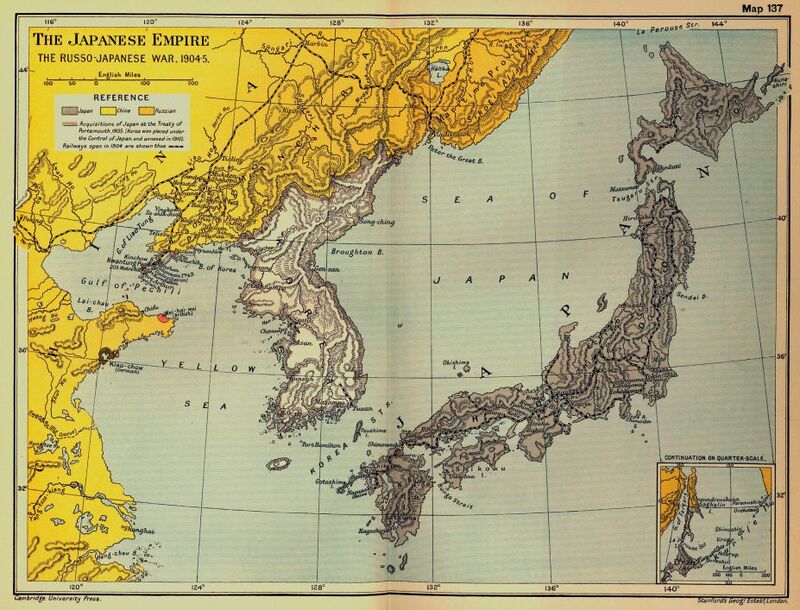 “Exploring the Real Hokkaido: A.H. Savage Landor’s Travel Illustrations, 1893,” paper delivered at Rethinking the Space and Place of Japan: Japanese Art and Globalizations Conference, UCLA (April 7, 2012). “’When My Clothes Came to an End I Did Without Them: Going Native in Hokkaido, Japan” Pechakucha paper delivered at the Constructing Worlds: Making and Breaking Order, Visual Studies Graduate Student Conference, UC Irvine (April 5, 2012). 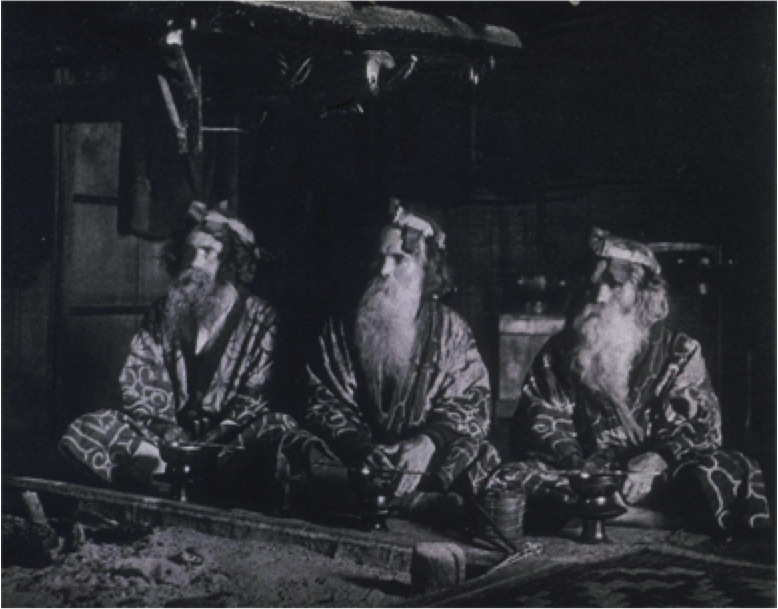 “The Ainu Moses: Arnold Genthe’s 1908 Ainu Photography,” paper delivered at the Japan Art History Forum graduate panel, College Arts Association, Los Angeles (February 24, 2012). “Tamoto Kenzō’s Hokkaido: Power in Studio and Documentary Photography,” paper delivered at Center for Asian Studies Graduate Student Forum, UC Irvine (October 27, 2011). 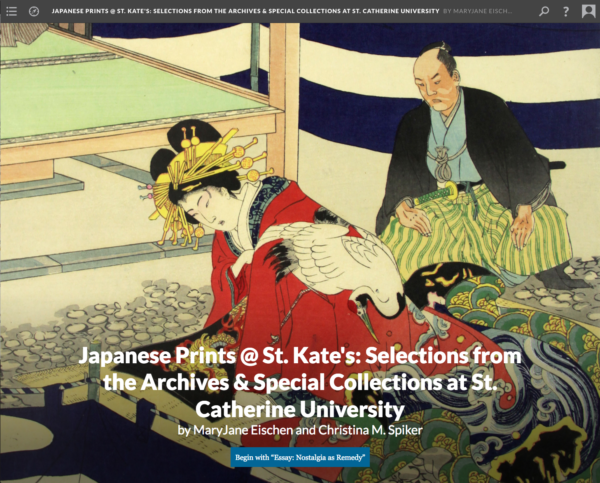 Nostalgic Femininity: Japanese Woodblock Prints from the St. Catherine University Archives & Special Collections, curated by Christina M. Spiker, Ph.D, Catherine G. Murphy Gallery, St. Catherine University, St. Paul, MN (April 13-May 26, 2019). 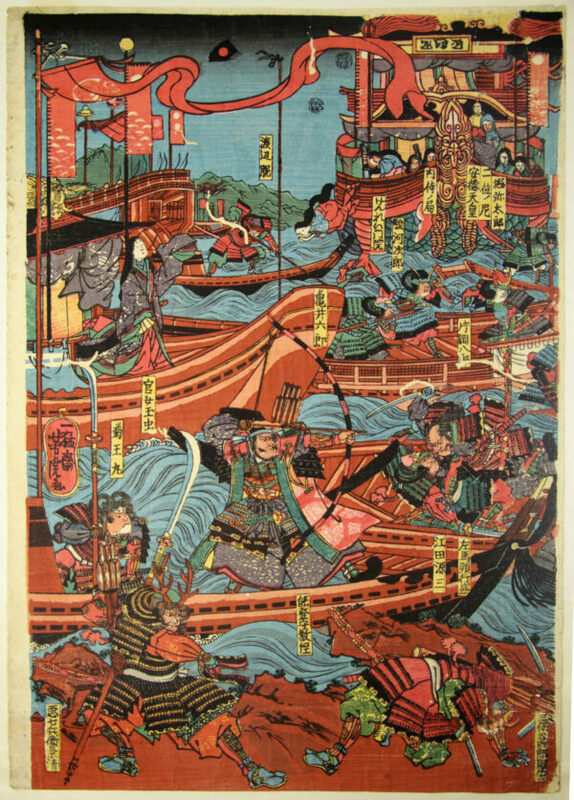 From Flowers to Warriors: Japanese Woodblock Prints from the St. Catherine University Special Collections & Archives, curated by Christina M. Spiker, Ph.D, with MaryJane Eischen and Nicole Wallin, St. Catherine University Library, St. Catherine University, St. Paul, MN (April 13-May 26, 2019). Japanese Woodblock Prints @ St. Kate’s (w/ undergraduate students MaryJane Eischen ’20 and Nicole Wallin ’19). Scalar 2, TimelineJS (Ongoing). 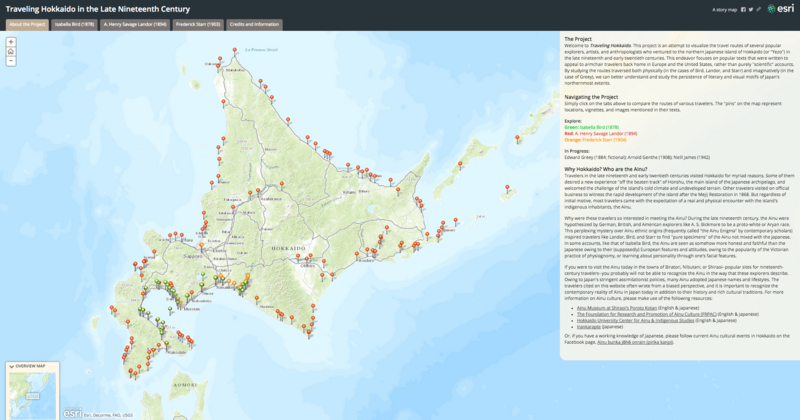 Mapping Isabella Bird: Geolocation & Unbeaten Tracks in Japan (1880). Scalar 2, ArcGIS, CARTODB (Ongoing). Traveling Hokkaido in the Late Nineteenth Century. 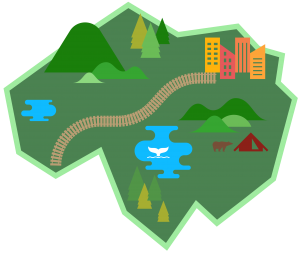 ArcGIS (2015-2017). Utagawa Kuniyoshi’s Takiyasha the Witch and the Skeleton Spectre. 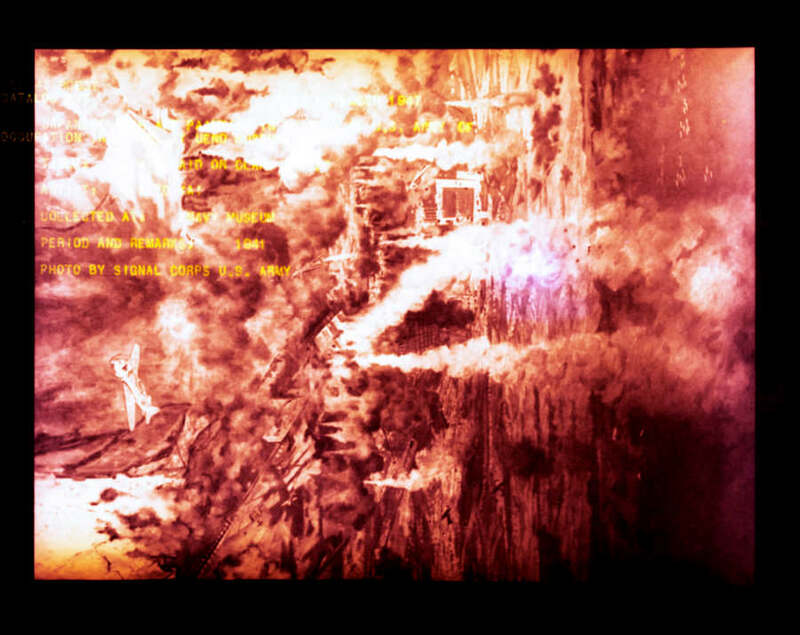 Sample Digital Assignment. StoryMapJS (2015). 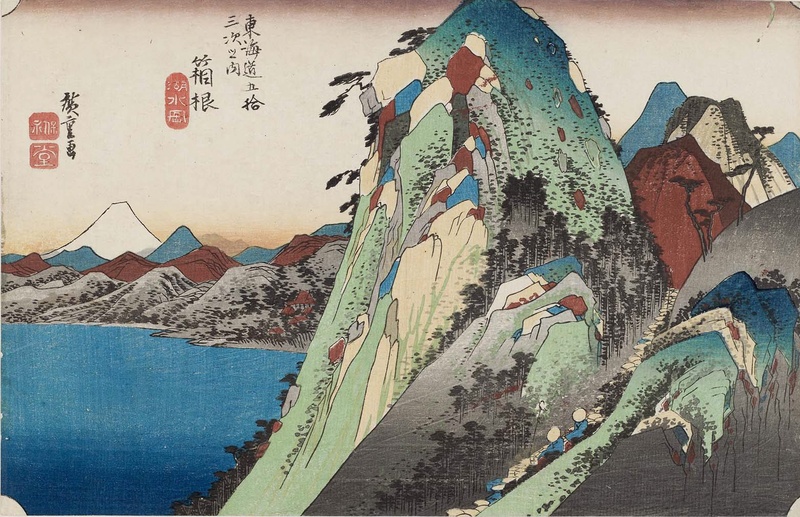 Utagawa Hiroshige’s Fifty-three Stations of the Tōkaidō. Sample Digital Assignment. 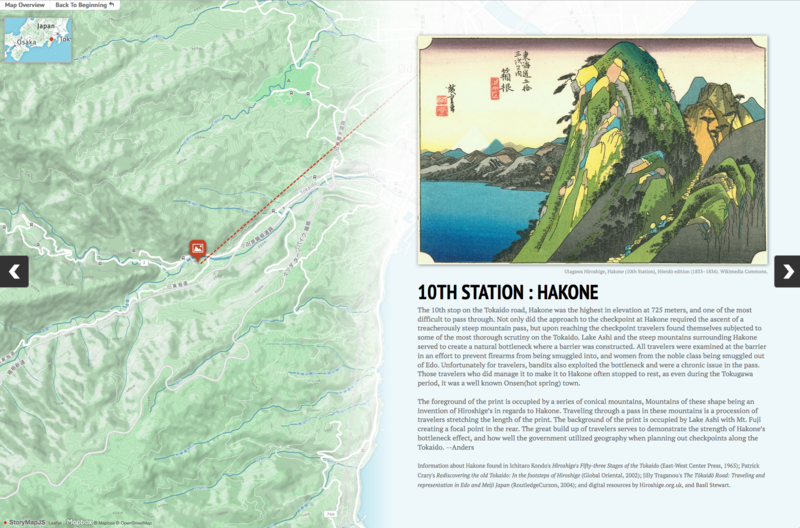 StoryMapJS (2015).